Everytime we hold a fanmeeting, it’s always fun! In the future, please keep listening to our song!! This is really a great fanmeeting! You guys are the best! Thank you for always supporting us! Really happy~ Let’s meet in another occasion! We will work hard to present you better and better songs in the future. It’s because all of you, we’re here. 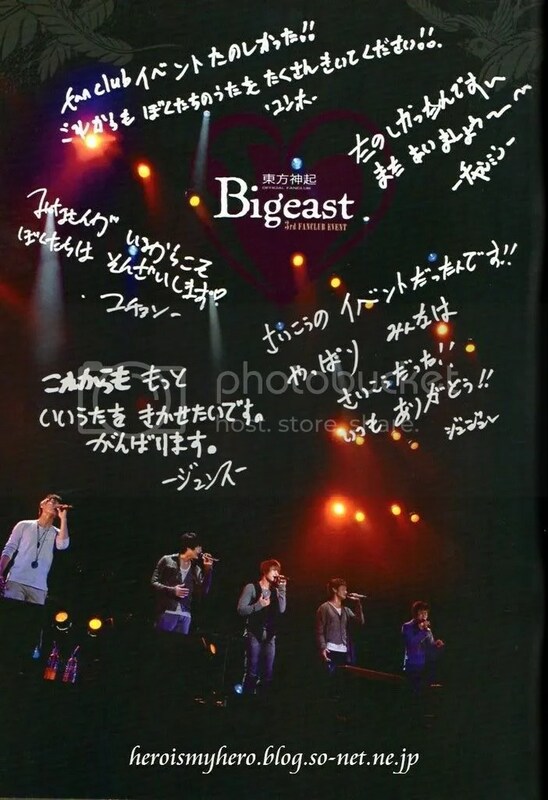 This entry was posted on March 10, 2009 at 11:44 AM and is filed under Translations with tags THSK. You can follow any responses to this entry through the RSS 2.0 feed. You can leave a response, or trackback from your own site.